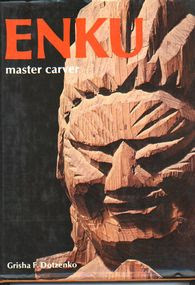 Welcome to Master Carver Enku 円空 ! who introduced me to Enku more than 30 years ago. 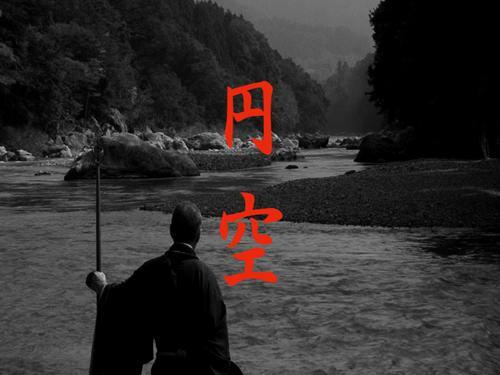 This book by my friend and fellow kyudo archer Dotzenko covers all the aspects of Enku's art. Grisha lived in Kamakura while we were there too, introducing me to Enku, Mokujiki and a lot more of Buddhist Art. I owe a lot to this wonderful person. Kodansha International Ltd. Toyko, 1976.
leaving thousands of his inimitable "hatchet-carved" statues.
. Waka　和歌 by Enku .
. Statues carved by Enku - main LIST .
. Enku in Hokkaido - INFO . Check the CONTENTS on the top of the right sidebar! 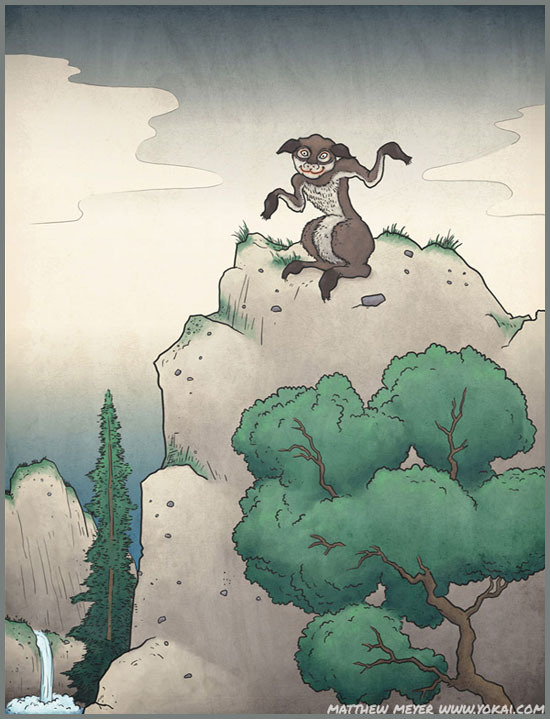 Some safekeep copys of the Fudo Pictures are here, starting from #49. 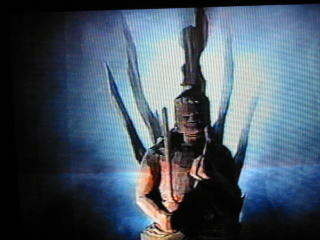 He confirms his successor carver, Enchoo 円長 Encho.
. Temples and Shrines visited . Enku walked all along Japan and attended mostly to the poor people. 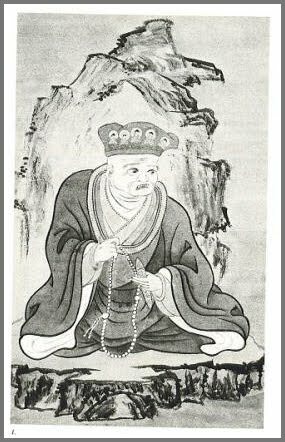 If he could not help the dying in a village any more, he would take a piece of firewood from a man's hut, cut a rough figure of Kannon Bosatsu and give it to the poor, telling him or her to use it as a guide on the trip to the nether world. 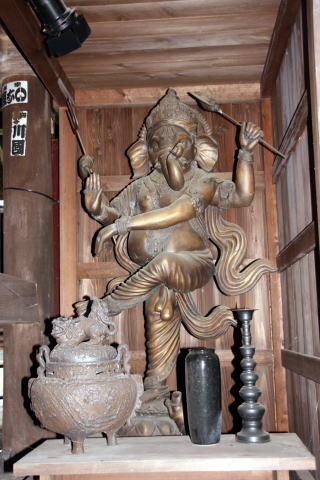 On the Tsugaru penninsula, there are many temples who still house one or two Enku Statues. 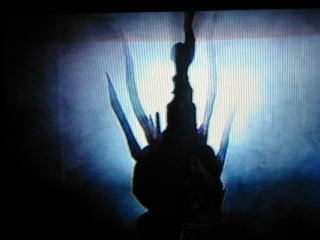 In one temple I visited, we could not see it, because, as the priest told me, the statue was all eaten by mice. Well, how come the mice eat wood? I asked him. Poor people throw a handful of rice over the statues after the harvest as an offering and thank, and the Enku statues have many nooks where the rice is left. In winter, the mice come feeding on these offerings, picking bit by bit off the wood too. 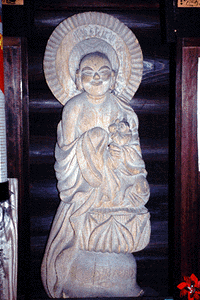 traveled on foot throughout Japan and carved approximately 120,000 wooden images of Buddha during his lifetime. He is said to have had no permanent home, however, during his latter years, he rooted himself deeply into the town of Seki. 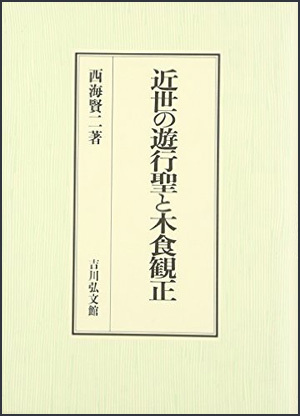 After the restoration of the Mirokuji Temple, he entered a stationary life to attain Buddhahood during his lifetime on the banks of the Sagami River in Seki. 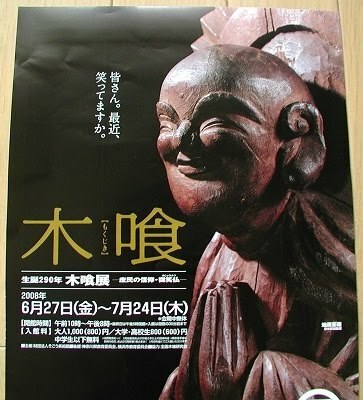 Today, there remain over 150 images of "Enku Buddha" 円空仏　carved by Enku the Priest. 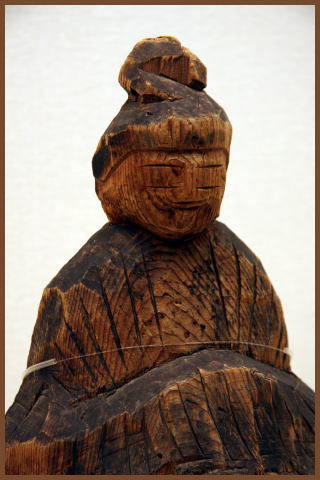 "Enku Buddha", a simple wooden statue dynamically carved with a single hatchet, may appear unrefined, however, the faces of Buddha express affluent emotions. His unique style has also attracted fans from overseas, enjoying high appraisal. 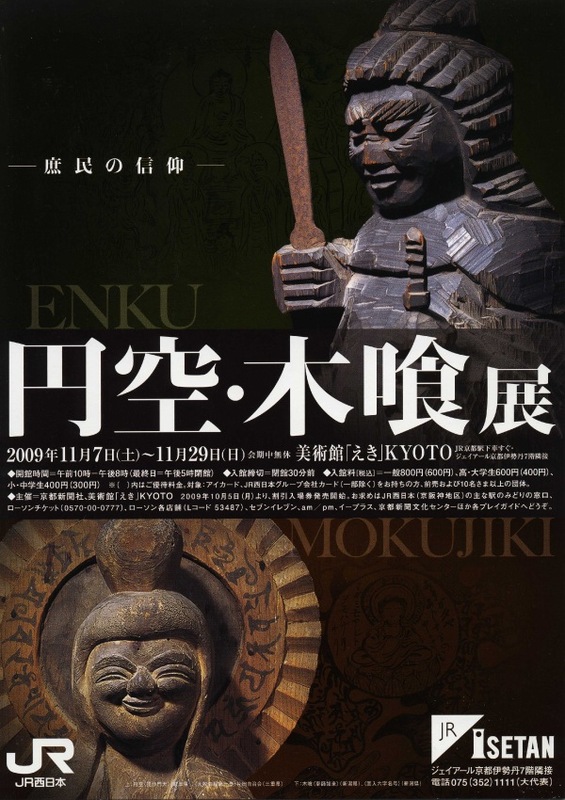 Enku went on a pilgrimage all over Japan, and carved Buddhist statues one after another. More than 150 statues by Enku have been identified and authenticated in Seki City, and it has been said that he entered nirvana in this area. A memorial stela for his entrance to nirvana now stands there, silently looking at the Nagara River. The Enku House is a resource center featuring Enku the Priest who is strongly associated with Seki City. Built to be the main attraction for the historical park plan, here you will find displays of his carved Buddha images and an introduction of his entering into the life of Buddhahood.It is the core facility for the Field Museum, interlocking the Mirokuji Temple, where Enku spent his latter years, and the Sagara River, where he attained Buddhahood. Many of the images of Buddha carved by Enku, which are found within the city, are displayed here. Enku made 120,000 wooden images of Buddha during his life-long pilgrimage on which he visited many parts of Japan, including Hokkaido. 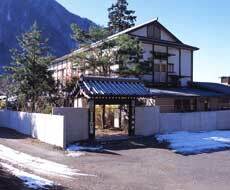 It is said that he reached Seki and died here. Though he led his life as a poor pilgrim and traveling artist, he is said to have been an almsgiver all his life. When we look at his wooden statue of himself, we can feel his warm personality. 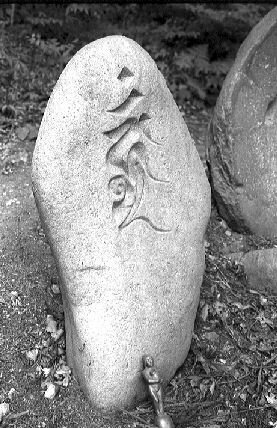 入定塚 Nyujo-tsuka is Enku's grave. It is said that in 1688 he was buried here. Buddhist prayers were the passion that drove him to a lifelong commitment to art and recited many while many villagers watched in sorrow. Mirokuji Temple Ruin is the remains of a temple reconstructed by Enku in his later years. We can still see the remains of a tower built in the Hakuho period. 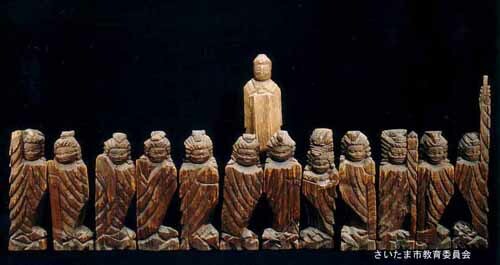 Enku, unlike traditional sculptors, sculptured freely, roughly, and unexpectedly by using one piece of scrap wood and timber sent afloat down a river. Koppabutsu 木っ端仏 are made from scrap pieces of wood. 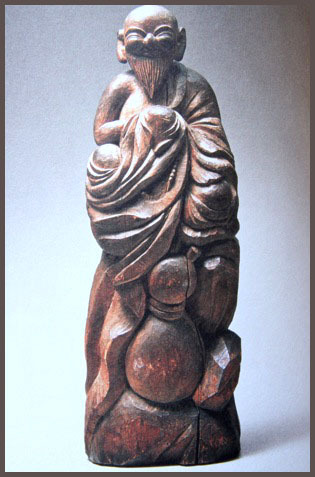 He was an extraordinary novelist in the early Edo era who expressed his strong religious believe in carving. At the time the book was published, he taught various subjects at the Zen Center in San Francisco. It has 87 black and white plates of Enku's work, plus a number of comparative line drawings of various subjects, illustrating how Enku's style evolved from his early period to his late period. There are also a number of Enku's poems (English only). "Obsessed with creating his sculptures exactly as he envisioned through his unique view of reality, he often carved until they were as thin as nails and reduced to the size of a pack of cigarettes, much to his consternation." ' Why, what do you mean?' I asked. 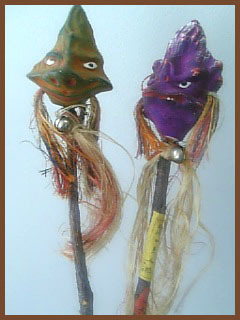 Children used the statues of Enku and Mokujiki to play with. For example, one statue was frequently thrown in the shallow river of the village in summer, and the children could swim for it to get it back. Statues of Mokujiki where carved hollow in the backside, so the kids could use it as a sledge in wintertime. The faces of these statues are completely worn out.
. Legends about Enku　円空と伝説　.
. Hida no takumi 飛騨の匠 expert craftsmen from Hida .
. Yanagi Sōetsu, Sooetsu　柳宗悦　Yanagi Soetsu Muneyoshi . Mojujiki "eating wood" is a general term for a severe ascetic practice of Buddhist monks and priests. mokujikikai 木食戒 mokujiki kai, vow (commandment) to eat "only wood"
. 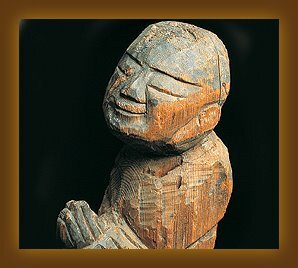 sokushinbutsu miira 即身仏のミイラ / 肉身仏 living mummy asceticism . 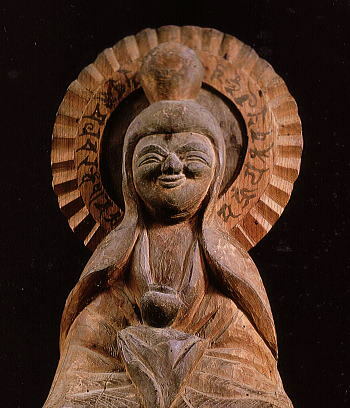 Saint Mokujiki was born in Marubatake in 1718. He converted to Buddhism when he was 22 years old, and received his ordination with the name Mokujiki at the temple Rakanji in Tokiwa at the age of 45.
when he had passed 80 years, he realized that people need something king and gentle to become kind themselves. 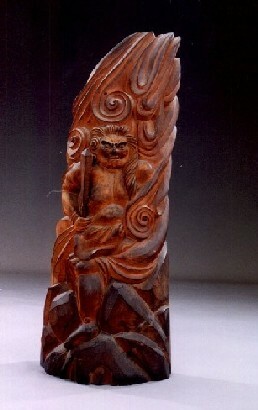 Click HERE to look at more of his Fudo statues !!!!!
. And Mokujiki’s smile revealed true beauty to Yanagi Sōetsu Muneyoshi . 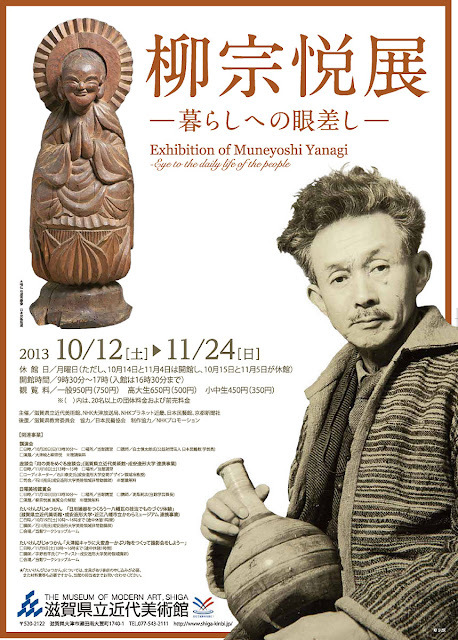 CLICK to see more of his 薬師如来 Yakushi Nyorai statues! The stone is about 90 cm high and 50 cm wide. In 1718, Saint Mokujiki practised severe ascetics in the cave here for 17 years. 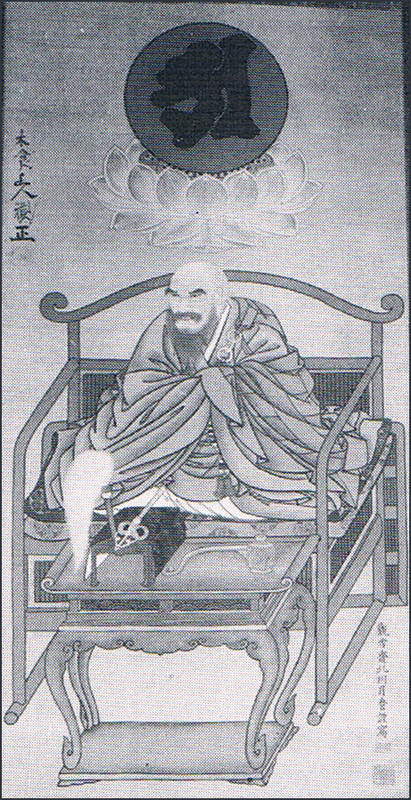 Mokujiki Shonin "wood eating holy Buddhist monk"
A priest of the Shingon sect and scholar of literature. A renga poet, living in 近江国 Omi, a member of the 佐々木 Sasaki clan. With his father he fought Oda Nobunaga at the temple 近江観音寺 Kannon-Ji, now in ruins. 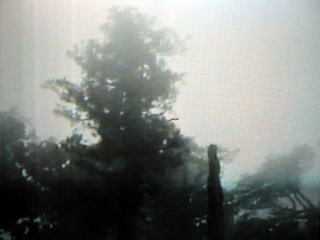 In 1573, aged 38, he became a monk at 高野山 Mount Koyasan. Later he influenced Toyotomi Hideyoshi not to burn the temple at Koyasan. He was in charge of the funeral for Toyotomi Hideyoshi. 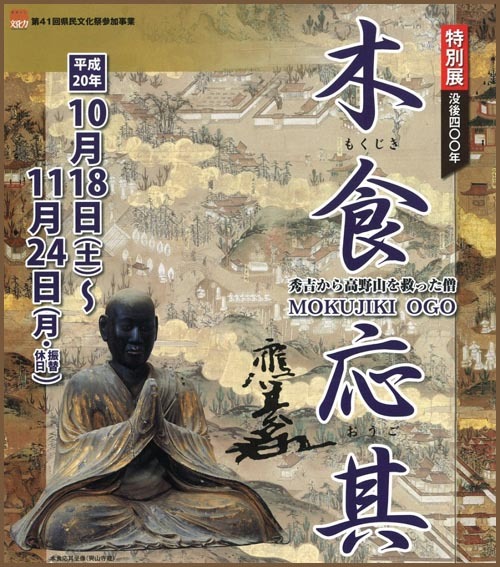 He worked at the temples 応其寺、興山寺、飯道寺 and others.
. Saint Mokujiki Tanshoo 木喰但唱 Mokujiki Tansho . 木食修行, eating only barks of trees and a few vegetables for 1000 days.
. Enmanji 圓満寺 / 円満寺　Enman-Ji . Kansho was born to a fisherman family in 淡路島 Awaji Island (Hyogo) and later active in Odawara. It seems Kansho was very popular "with men and women, with young and old". 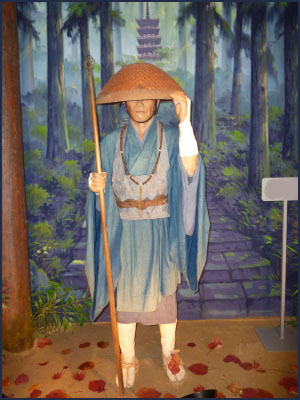 In 1784, when he was 30 years old, 木食観正 traveled all around Japan to hold serviced for the dead, prayed for rain and good harvest and the wellbeing of the farmers. But it seems he also collected a lot of money on this trip. He came back to Edo. In March 1829 there was a great fire in Edo, which was blamed on the bad prayers of Kansho. So he was taken to prison and put to death by 寺社奉行 the Magistrate of Temple and Shrine Affairs, but it is not clear what crime he was charged with. He died in prison in June. in the compound of temple 三学院. Erected in 1821. 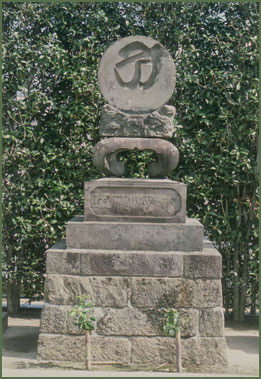 The round top shows the 大日如来の種子 seed syllable for Dainichi Nyorai. 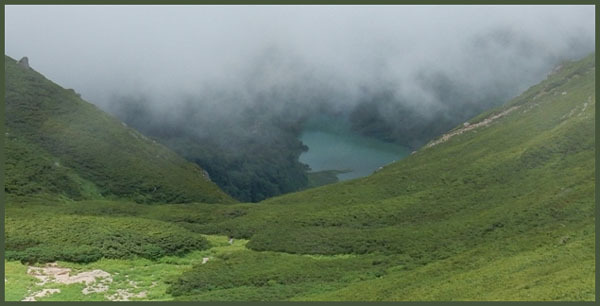 Kansho visited the town of 蕨 Warabi in 1820. 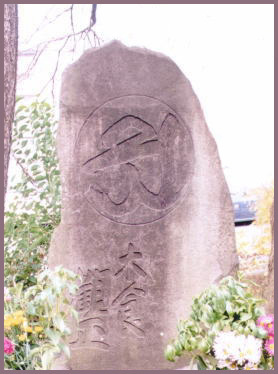 Nichikan Shonin 日鑑上人 of the Nichiren sect, lived in Chiba, 丸山町 Maruyama Town. During a drought he sat on top of the hill and prayed for rain and after 2 days it rained indeed. He then continued his mokujiki asceticism and became a "Buddha in the flesh" 肉身仏 after death.
. Aizen Myo-O 愛染明王 .
. Akiba Daigongen　秋葉大権現 .
. Bishamon Ten　毘沙門天 Tamonten (Vaishravana) .
. Daikoku Ten 大黒天　.
. En no Gyooja 役行者 En no Gyoja .
. Fudo Myo-O　不動明王 .
. Gakko Bosatsu, Nikko Bosatsu 日光月光菩薩　.
. Garuda 迦楼羅 . 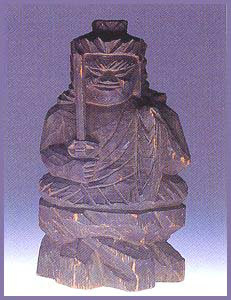 烏天狗 Karura as Karasu Tengu .
. Gohoojin 護法神 Protectors of the Buddhist law . Inari Myoojin 稲荷明神　Fox Deity　.
. Kankiten 歓喜天 Kangiten, Ganesh .
. Kannon Bosatsu　観音菩薩　. - - - - - . rokumen Kannon 六面観音 with six faces .
. Komainu, Koma-Inu 狛犬 Korean Dogs .
. Kukai Kobo Daishi .
. Otsu-E 大津絵 Paintings from Otsu as motives .
. Shootoku Taishi　聖徳太子　Prince Shotoku Taishi .
. Sukuna, Ryoomen Sukuna 両面宿儺 Sukuna with two faces .
. Yakushi Nyorai　薬師如来 Buddha of Medicine .
. Yamabiko ヤマビコ, 山彦 from Hida Takayama, Gifu .
. Zennyo Ryuuoo 善女龍王社 Dragon Lady Zennyo .
. Zenzai Dooji 善財童子 .